Let us celebrate our journey back into light by leaving behind anything that keeps us from embracing the fullness of our divine selves. Any fears, beliefs, or disempowering thoughts about ourselves or the workings of this world. Instead, take a moment to remember that the dark times do not last forever, light always returns. Today, choose love, choose forgiveness, choose peace. Allow positive thoughts and joy to enter you, take root, and eventually bloom. 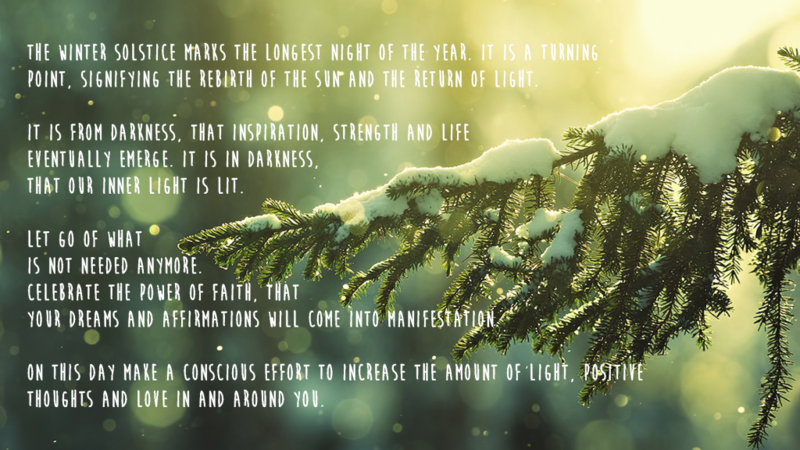 Wishing you all a Mindful Solstice. For anyone who is interested in marking the solstice with a ceremony, here is the one I will be performing today. Love and light to you.